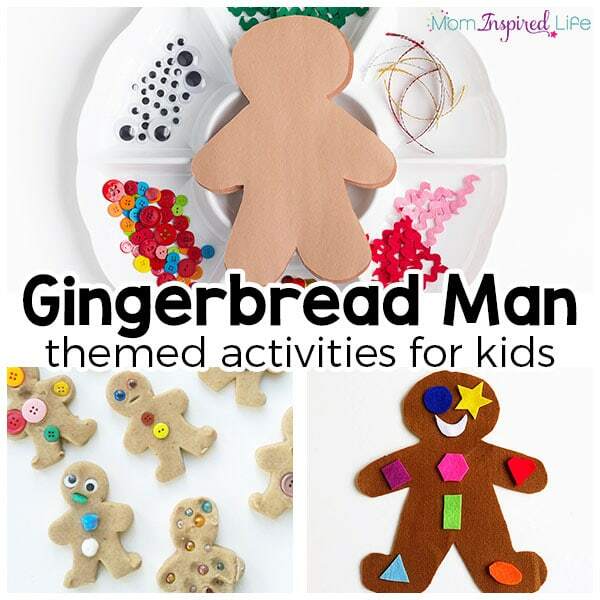 These are my favorite gingerbread man activities for kids! From math to literacy to crafts and more, this is all you need to plan your gingerbread theme. 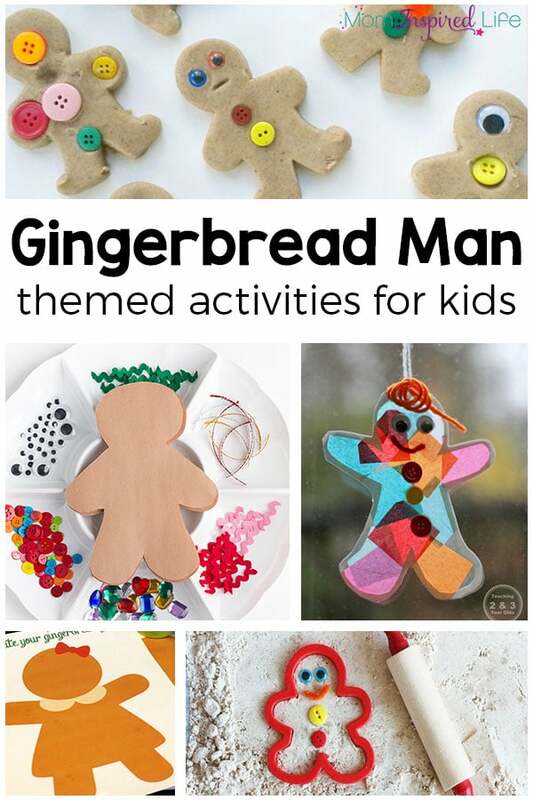 Do you do a gingerbread man theme in your classroom or at home with the kids? 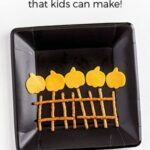 I just love doing lots of fun gingerbread activities with the kids. 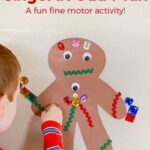 We have had a blast doing lots of gingerbread man activities this Christmas season, so I wanted to gather up all of my favorites for you and share them here for easy planning and inspiration. I hope you’ll love them as much as I do! 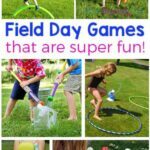 Most of these activities take little preparation, keep kids having fun and learning. Plus, some of these would make fabulous holiday decorations or even gifts! 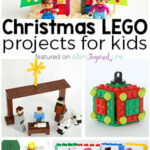 To read more about them and all of the other gingerbread activities for kids, keep reading! 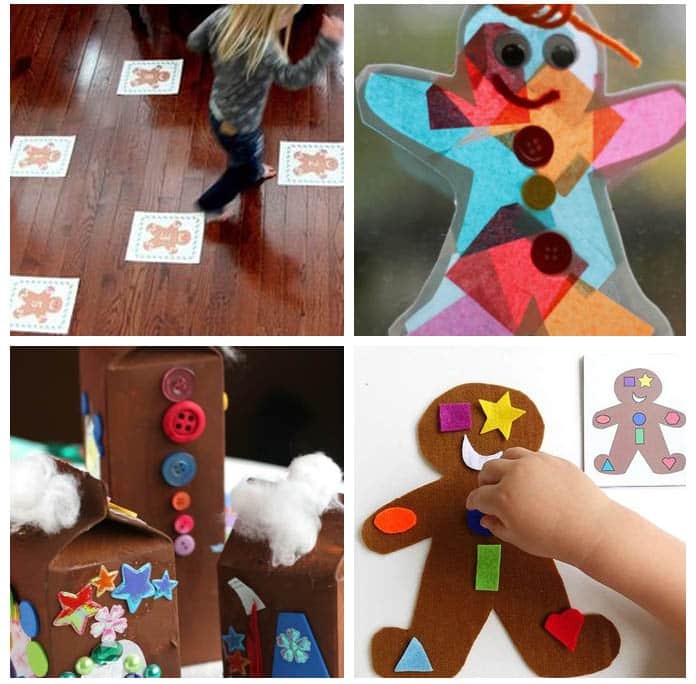 My kids couldn’t get enough of this gingerbread man collage art activity! It’s super simple to set up and gives kids the chance to create in any way they want. Plus, it’s a fantastic way to develop fine motor skills! 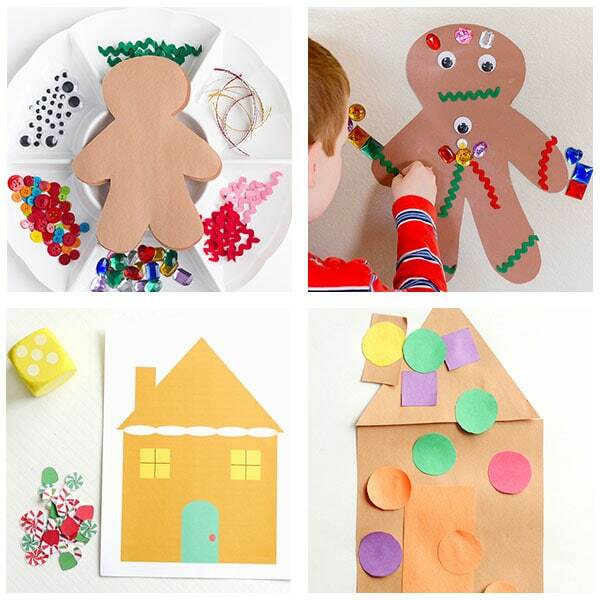 Extend the collage art activity above with this super cool sticky wall gingerbread man activity! Leave it on the wall and kids can come back to it again and again all season long. Practice counting and number recognition while playing this fun gingerbread house counting game! Combine math and art with this gingerbread house shape craft. 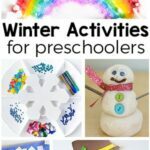 It is a fun Christmas STEAM activity for toddlers and preschoolers. If your kids love a fizzy reaction like I do, they’ll love this gingerbread man cookie chemistry! This is a great idea for a snow day activity! 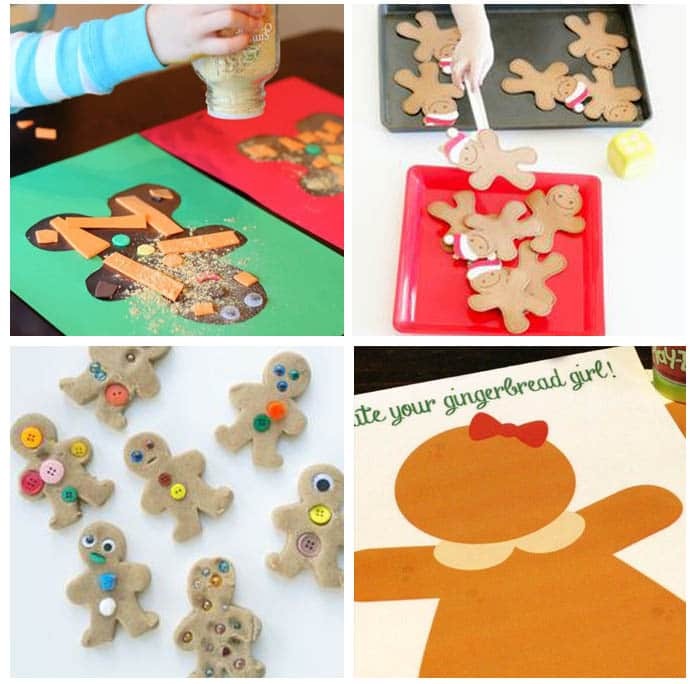 Toddlers can have fun exploring colors with this gingerbread man printable. This would be a fun way to make patterns. 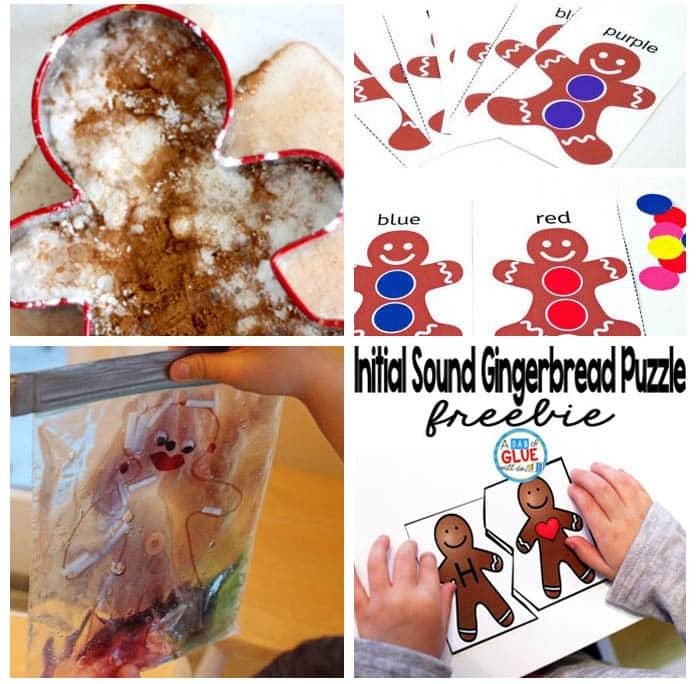 When my kids need a few minutes of independent play, I love using sensory bags just like this gingerbread themed one. They are fun to squish and press into. My kids love them, the gooier the better! 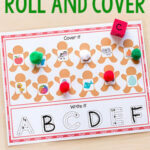 Your kids will have fun practicing letter sounds with these cute gingerbread cards. Each set shows upper and lower case AND a cute image to go along with that letter. Kids won’t even know they’re learning. Christmas crafts, like this Gingerbread Man Art, make great gifts for teachers or grandparents. They love handmade gifts! Gingerbread men are fun to count, especially this counting game. Play dough is a go to activity in our house. I bet this gingerbread play dough recipe smells out of this world! 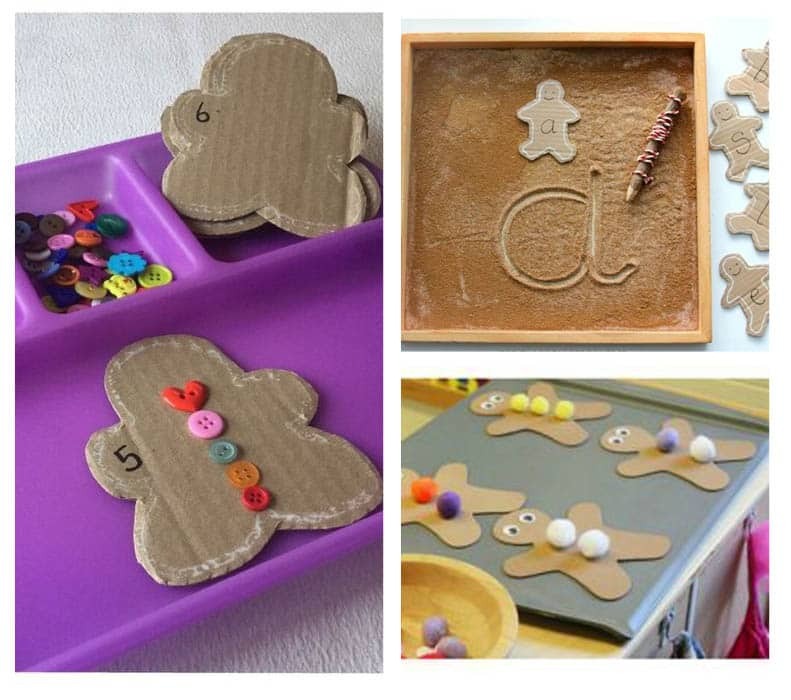 Making play dough gingerbread boys and girls just got easier with these adorable play dough mats! 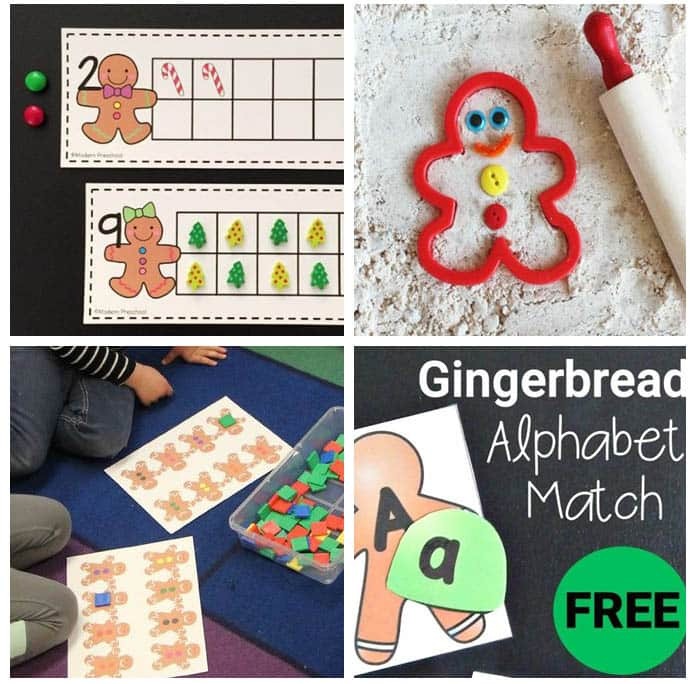 Counting mats are fabulous for children of all stages of learning and these gingerbread man mats are stinkin’ cute! Cloud Dough is an entertaining sensory activity for kids of all ages. This gingerbread scented cloud dough will make your house smell like Christmas while your kids explore! Do your kids love a good game of Bingo? Add a festive feel to the classic game with these gingerbread boy themed cards! Matching games are always a hit in our house. Playing with these gingerbread men, kids won’t even realize they are learning. Snow days are hard on everyone, being cooped up inside. Get your kids moving, even indoors, with this fun numbers game. Anyone would be happy to have this handmade gingerbread sun catcher ornament on their tree! These gingerbread houses will last two lifetimes and are made from recycled materials. Such a fun idea! It’s flu season, so you’ll want to have something for kids to do while waiting for the doctor or on sick days like these fun DIY busy bags! No time to make real cookies? Make pretend cookies that are just as cute. Counting has never been cuter with these gingerbread cookies. If you have extra cardboard lying around and some buttons, you could set this activity up today! A great smelling activity to help children practice letters, sight words or numbers!